ate dinner at hanabi last night. yummy before and after shots. so hard to make food at home when there is such yummy cheap food everywhere in the city!! i need to finish the quilt for Eli, but all i seem to have time for is homework and work. hopefully i can get it done on Friday...hmmm...and then on to Daisy's!!! thanks mom for the Canada socks! They are nice and toasty warm for my toes! 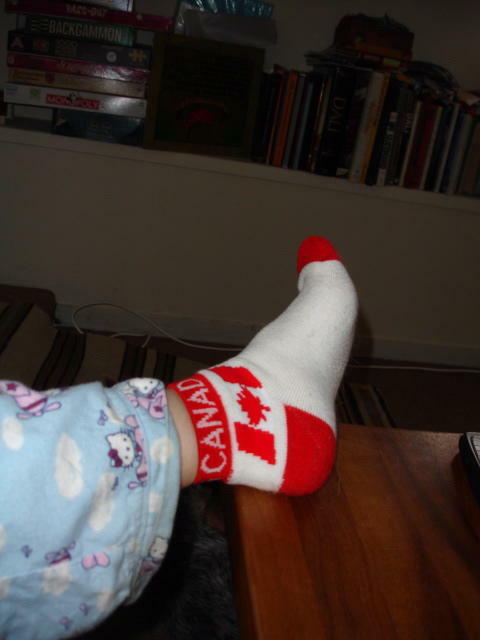 love the canadia sox yo!!! !